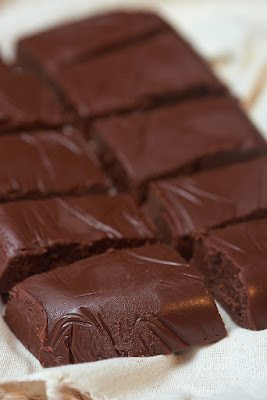 I am back with another exciting recipe and it is known as easy chocolate fudge. Are you excited? Last time I posted mango butter cake recipe and I hope u all loved it. My son is one year old but he love to eat chocolate. Thus I thought to prepare yummy and delicious chocolate fudge. I love those recipes which any one can love. 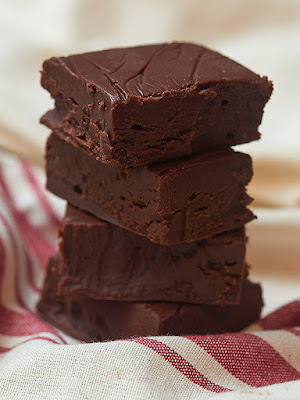 Here is chocolate fudge recipe which will be loved by all. 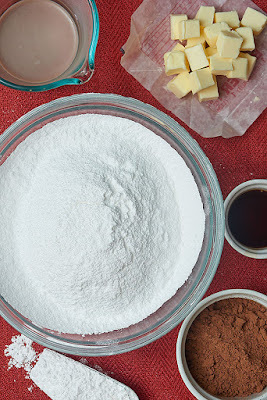 This recipe is made from only 5 ingredients from your kitchen. This chocolate fudge can be made in just 90 minutes. I must thanks to one who invented microwave. Here is easy recipe, have a look. Take a microwave bowl and in that leaving vanilla and nuts mix all ingredients. Microwave it for 90 seconds. Other side lines a small pan with a saran wrap (I used 6 x 8). Once cooked remove from microwave and whisk it once it is smooth. Then add vanilla and nuts. Pour it in saran wrapped pan and cover pan and place it in refrigerator till it hardened. Then slice, serve and go nuts. Friends it is easy and ultra smooth, thick, creamy and extra chocolaty fudge. I am sure you all will love it. Ah well! It started with our pangs and we ended up urged by them some more just because of that flattering “Chocolate Fudge”! …And those “Patties” greeting us…made it hard for us to let go off your brain child (10 brunch ideas)!